We build, customize and maintain simple to complicated and dynamic e-commerce websites. We start from scratch, involving you in each step from the theme to the architectural design element as we have to showcase your business. We give attention to the details like color appeal and easy navigation with focus on SEO and any other important web presence needs. We also Register and Host domains. The process of registering a domain name is known as Domain registration. This is what identifies one or more IP addresses with a name that is easier to remember, and use in URLs to identify particular Web pages. Domain name registrant refers to the person or business, that registers the domain name. At technext, We offer Domain Name Registration as a part of full web services.We offer low cost domain registration with theft protection facility and high security. There are options of registering different types of domains like .org.in, .net, .com, .in, etc. Where a website doesn't require special functionality it will be developed in WordPress or by other CMS tools. Making it easy for you to customize. All websites developed by us, comes with 1 year free support for minor changes. 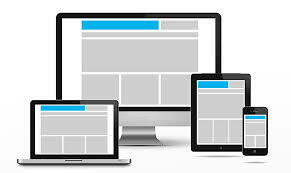 To fit the needs of your business, We design our website enhancement. Our maintenance plans are there to help your business grow.